If you’ve got a green thumb then you might be familiar with the process of tilling. It may seem like a tedious process if you’re not fully aware of how to effectively till your lawn and garden. At Freestate Mower Repair, we’ve got a whole lot of tilling knowledge to share. We’ve put together some important tips for effective tilling, so keep reading. There are a number of ways to achieve effective tilling. In order to help your plants germinate and lengthen their lifespan, you’ll need to rototill your garden. In addition to effectively mixing amendments in your soil, it also helps to break up compact soil and to remove unwanted roots and weeds from the soil. If you’re new to the gardening game, you can till manually with a shovel and a rake. Be aware that manual tilling can be fairly time -consuming. Your other option is to use a rototiller, which is the better choice for tilling areas that are longer than 6 feet. There are some important preparation steps you can take before you start rototilling your garden. First, you should always wear protective equipment when you’re tilling. You can start with eye protection to avoid getting any dirt or debris in them. You should also wear the right shoes so you’re protected from any injury that could be caused by the rototiller blades. When deciding on your path through your garden when rototilling, it’s best to take the longer path to ensure you cover the most space possible. While this might depend on where you live, it’s usually best to rototill during spring and fall. The weather is better but also, the soil will be at the recommended temperature of 50°F. Keep in mind that if you attempt to till your soil when it’s extremely cold, it’ll become too stiff and the process will be ineffective. On the other hand, tilling in hot temperatures will dry your soil out much faster and make it difficult for your plants to flourish. If you’re trying to do things the manual way but are struggling to remove weeds, a small rototiller is usually the most effective way to go. You’ll successfully remove the weeds without causing irreparable damage to the soil. You should lightly till around the plants and along the path areas so you can churn up the soil. This will expose the weeds to the sun so they can dry out. It also keeps your garden clean and prepared to grow before fall starts. As for your lawn, rototilling requires a bit more work. 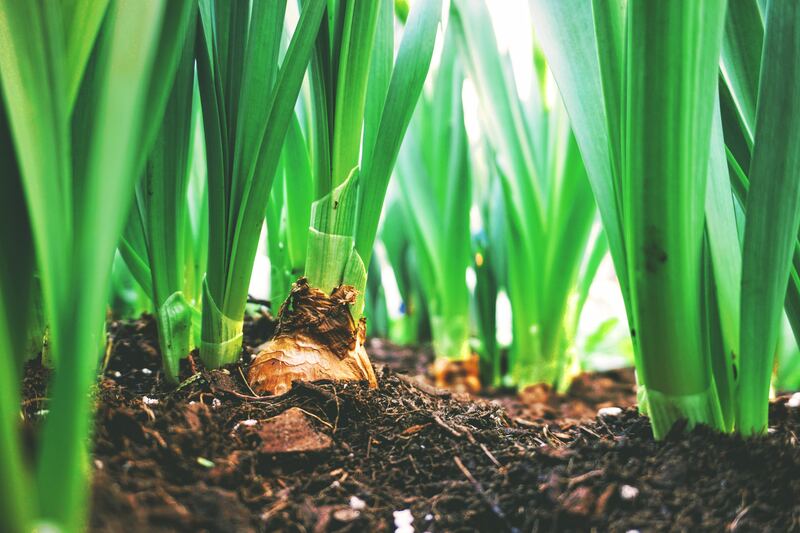 Rototillers will help you level the ground, which is a useful process when you’re trying to remove old, dead grass as well as when you’re trying to plant new, healthy grass. If you don’t own a rototiller and are hesitant to invest in one, you can rent one from a local garden center. Start by removing any debris, like rocks and sticks, from the lawn. Use a sod cutter to cut and remove old sod strips. Water the soil if it’s dry. You shouldn’t till in mud, but it will help if the ground isn’t overly dry and hard. Allow the soil to dry to a point where it’s damp and doesn’t clump. Cover the lawn with two inches of fertilizer and use a rake to level it atop the soil. Till through the entire lawn and be sure not to leave gaps. Avoid tilling near trees because you can damage the roots. When done, smooth over the ground with a rake. You’re now ready to plant new, healthy grass or start installing sod. If you have further questions or want to check out our repair services, contact us today! We’re conveniently located in Lothian, MD near Clarksville, Takoma Park, Greenbelt, Beltsville, and Annapolis.